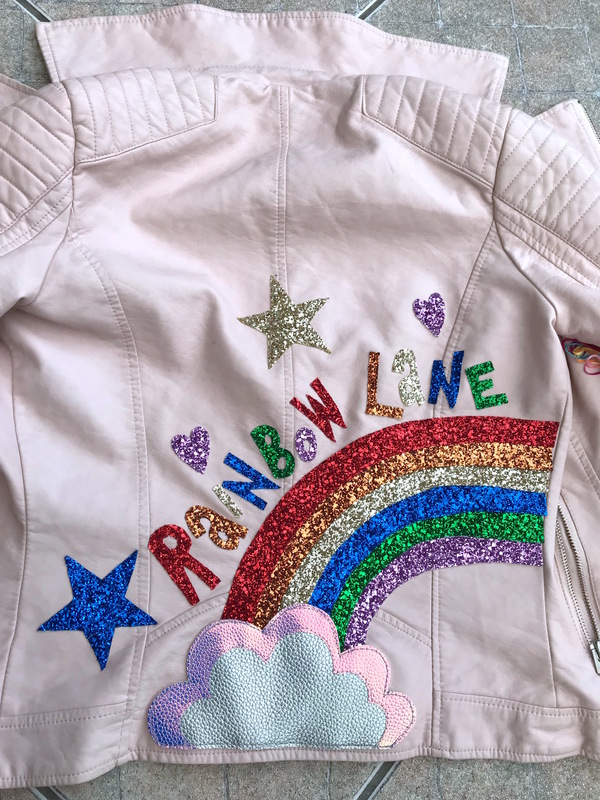 Last month I was contacted by Charlotte – fashion blogger of Down Rainbow Lane, she was looking for her pink faux leather jacket to be revamped and customised in some way and she contacted me of course! I am a big fan of Charlotte’s blog and loved her stylish Instagram page, so it was a no brainer really. My brief was glitter and colour! well no problem there as I sure can tick those boxes. I did a little bit of research looking back on her past posts on clothing and noticed she had this theme of rainbows everywhere so I decided that would be a good thing to go with. 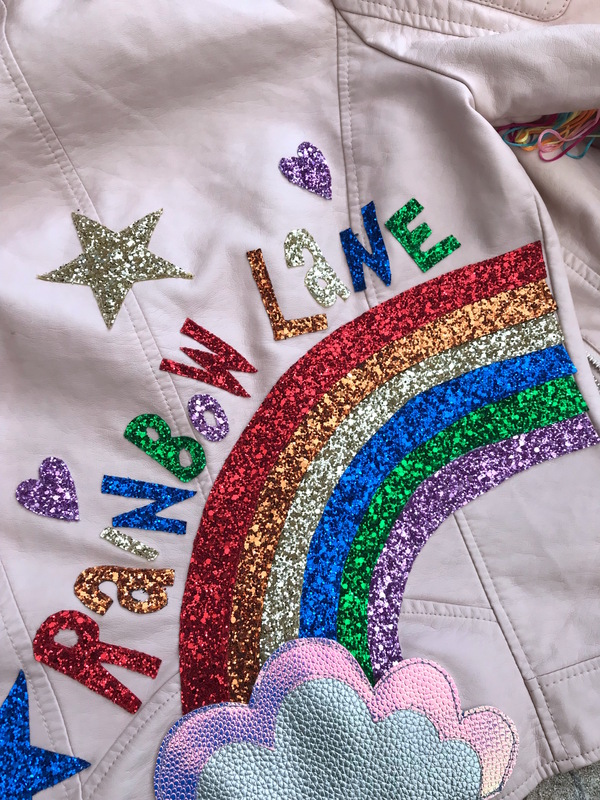 I set on designing a rainbow for the back of her jacket, I also thought it was quite fitting as the name of her blog was Down Rainbow Lane. Whilst doing the design on the back of the jacket I remembered I had this rainbow fringing that had acquired a few years back, a light bulb moment came and thought how awesome it would look to insert it down the inside seam of the sleeve so when charlotte held her arm up she would have rainbow fringing and YES it looked awesome as you can see by the pictures. This was a such a fun project to work on and Charlotte was so excited and happy when she received the jacket back.